Now this is exactly what I like to see out of art books - large format, simple and concise layout, quality materials and colour printing, and completely inclusive of a singular subject. 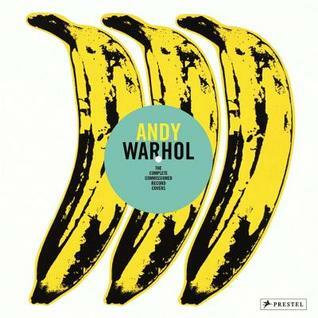 In this case we are presented with the entire oeuvre of Andy Warhol’s LP cover artwork, a subject which is both much less familiar to the public than his prints and yet extremely recognizable in certain cases such as the banana cover for the Velvet Underground’s first album. Jazz and classical music aren’t really my thing, so I’m not familiar or particularly fond of Warhol’s penchant for designing these LP covers, but the fact that this book simply collects every LP cover rather than focusing on different types (and most books would likely focus on either the jazz/classical covers or the rock&roll/popular covers) does much towards its success as a collection of material.